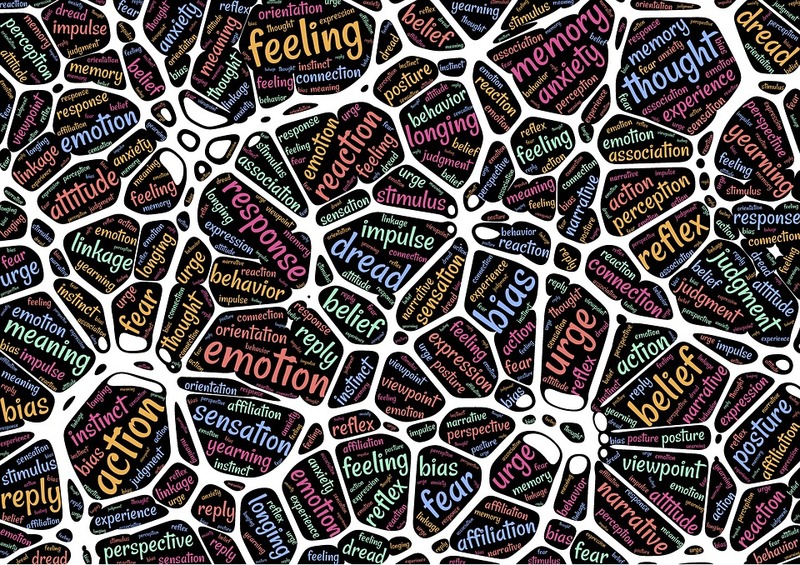 Psychology gives us valuable insights into how people react to different forms of stimuli. Knowledge of what affects your audience emotionally to take action can substantially increase the effectiveness of your online and digital marketing strategies. Here are some psychological tips that can help you achieve greater success in your online and digital marketing. A large study conducted in the area of social media psychology has revealed that happiness spreads online the same way as in the physical world. In using this strategy, you should therefore try to provide content that can please your online audiences. For example, write in a friendly and jovial style that will keep your audience engaged and glued to your website. Use words that can motivate them to take action. This way, they are happy with and it goes both ways. It’s a well-known fact that people like being in the spotlight. In a study carried out by a group of Harvard scientists, it was proven scientifically that people enjoy talking about themselves and they actively derive pleasure from the experience. By making your audience the center of your strategy, you are likely to achieve more success. Relate with them directly; shower them with attention instead of pushing your products into their faces at every opportunity. According to business psychologists, the choice of a product or service’s color can have as much as 60 percent effect on the acceptance or rejection of the product. Different colors trigger various emotions from readers. For example, orange is known to incite aggressiveness and may prompt your readers to opt for an offer you are providing. Care should be taken however to select complementary colors. It is said that a picture is worth more than a thousand words, because images help to incite emotions from viewers. Most readers usually skim through web pages in search of a valuable piece of information. A strategically positioned image can contribute to grab their attention to what you have on offer, increasing your conversion rates tremendously. When using images, the best results are gotten from pictures of happy people, or people doing something related to the action you want the visitor to take. Human beings are emotion driven, and most of the time will make a decision based on how they feel about a particular issue. To effectively use this strategy, emphasize the feeling the product or service will create for the user. During promotion of your services, make sure you depict the type of experience they will have when or after using the product. For example, showing them a picture or a video of a vacuum cleaner in action. Most people are tuned in and locked onto Wii FM i.e, what’s in it for me. Whenever we have the power to choose, most people will act in their own self-interest. Exploit this psychological principle to your advantage when promoting your products and services. Try to answer your potential customer’s question of what value will the product or service provide. Tell them in explicit terms what they stand to gain when they purchase your offer. By knowing the value of the product or service in their lives, people will be willing to spend on the offers. To succeed as an online entrepreneur, you need to make customers want your products and also believe what you claim your products can do. Due to the virtual nature of online based commerce, customers might be wary of a seller whose credibility seems shaky or who they find hard to believe. You will have to provide a secure payment platform for customers, give video testimonials, present a professional and credible image of yourself and your business and ensure that customer complaints are promptly resolved by providing multiple points of contact between them and your business. By assuming that customers will buy your products, your chances of making them buy increases. When you communicate with your customers, use language that makes them feel they are going to purchase the product or services. For example, in an email you want to send to a customer, it’s better to say ‘’when you buy this ”, rather than saying ‘’if you buy’’. This will subconsciously make them accept that they have decided to buy your product already. In a recent survey carried out by researchers at Princeton University, respondents were asked if they were willing to participate in a cause to aid the fight against cancer. The study found out that people who were not willing at first changed their minds later, buttressing the fact that people will change in order to stay consistent. By helping customers create an expectation of consistency in themselves, your marketing strategy can gain from this. For example, when you offer them a free course and later introduce a paid one to them, they will accept the course just so they appear consistent on the original path they were treading. The Nobel Prize winning scientist Daniel Kahnemann in one study found out that people place higher values on things they own, and when asked to sell it , they tend to value it more than its actual worth. This principle can be used to increase the value of your products in your customers view. This can be achieved by asking for feedback and suggestions on their experience with your products and services through social media. Research shows that negative feelings from loss affect people more strongly than positive feelings from gain of the same magnitude. By knowing any reservations your customers have towards your products, you can remove their doubts by offering free trials and money back guarantees on all products purchased. Also, you can provide warranty for components of an equipment. This will help to improve your reliability scores with your customers. This theory states that our liking for something increases the amount of exposure to that thing. This was the result of an experiment in which characters of the Chinese alphabet were shown to some participant. The more they saw the characters, the more meaning participants were able to infer from them. In digital marketing, repetition can have a huge effect on the audience. By continuously repeating your message, it will grow on your customers, and their interest in your offer will increase. This theory states that when people do you a favor, they tend to like you more. They believe that they did the favor because they like you. You can use this strategy by asking favors from your customers, you will be surprised they will oblige you. You can ask them to fill forms, take surveys, help to share your services and so on. Studies have shown that products endorsed by influencers or celebrities in an industry are often commercial successes. When you need to launch a product or services, recruit the help of influencers on the social media. Make them share your products on their social media handles and in little time, your product would have been viewed by millions of people. The researchers Daniel Kahneman and Amos Tversky conducted a survey where the results showed that people’s perception of a situation as either positive or negative affected how they react to the situation. The wording and tone of your content should evoke positive emotions. They should be clear and lead your customers to take the desired actions you want.